Preet is an amazing childminder. From the moment we met her and explained that we were looking for childcare to fit a two week on two week off roster she was willing to accommodate that. We both work shifts and a number of times there have been last minute changes or delays which Preet has always helped us out with. My little one started going at one year old and immediately settled in with all the other children and was welcomed into a home from home environment. Since she has been there she has developed into a confident and independent little girl and her speech and understanding of language is developing really well. 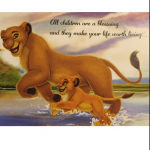 She has always been supported and encouraged by Preet and other members of the Little Simbas family.